Nawaz Sharif, who had been in London with his wife who is undergoing cancer treatment, is due to appear in court on Friday over allegations linked to London properties the family owns, charges that could see the former premier jailed. 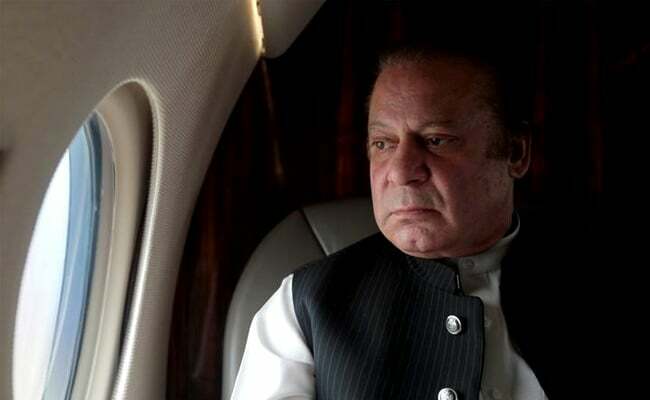 Islamabad, Pakistan: Pakistan's ousted prime minister Nawaz Sharif returned home on Thursday to face trial in an anti-corruption case he calls political revenge but which opposition leaders have termed as accountability for the rich and powerful. Sharif, who had been in London with his wife who is undergoing cancer treatment, is due to appear in court on Friday over allegations linked to London properties the family owns, charges that could see the former premier jailed. 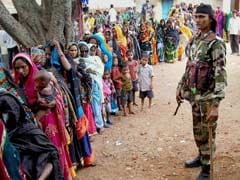 Allies of Sharif, who has served as prime minister twice and was toppled in a military coup in 1999, have called the proceedings a political vendetta and hinted at intervention by elements of the powerful army. Sharif, 67, denounced the process in an interview on Wednesday in London before flying home. "This case in the National Accountability Bureau is highly bogus and fake, which doesn't have links to corruption," he told Geo TV, comparing the process to charges laid against him after General Pervez Musharraf seized power in 1999. "There is no kickback or misappropriation of the national exchequer," he added. The Supreme Court disqualified Sharif from office in July over unreported sources of annual income of about $10,000, a salary the former premier denies ever receiving. The high court also ordered the National Accountability Bureau (NAB) to investigate and conduct a trial into the Sharif family's wider finances, including the London properties. Sharif maintains control of the ruling Pakistan Muslim League-Nawaz (PML-N) party, which elected close ally Shahid Khaqi Abbasi as prime minister after Sharif was disqualified. Also facing trial before the NAB court is Sharif's daughter Maryam and her husband, Muhammad Safdar. They have all pleaded not guilty. The allegations stem from the Panama Papers leaks in 2016 that appeared to show that Maryam and her two brothers owned offshore holding companies registered in the British Virgin Islands and used them to buy upscale flats in London. A Supreme Court-appointed investigatory panel deemed that the family's wealth did not match its income, and accused Maryam and her brothers of signing forged documents to obscure ownership of companies used to buy the properties. The Supreme Court has ordered the NAB investigation and trial to be concluded within six months, which would probably bring a verdict before general elections due next year. Maryam Sharif, who has increasingly played a prominent role in the PML-N, has been seen as her father's political heir. This week, however, two party insiders said the leadership had decided that Shahbaz Sharif, the former premier's brother, was likely to be the party's candidate for prime minister next year.